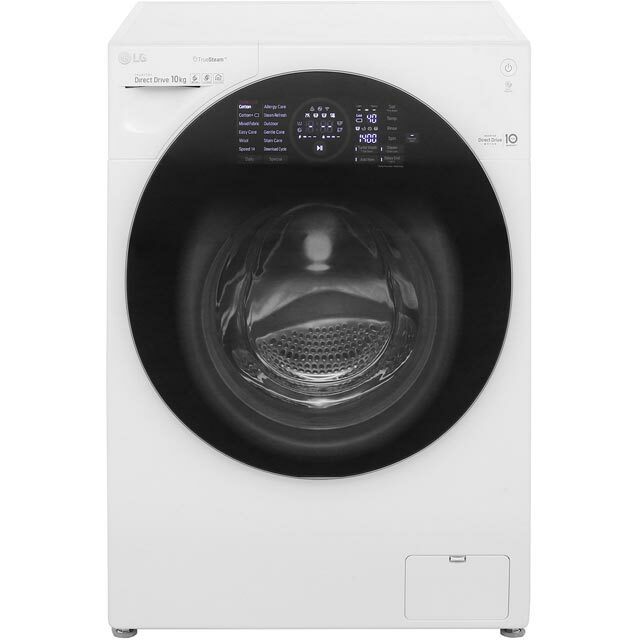 This FH4G1JCS2 LG washing machine has a generous 10kg capacity, TurboWash™, TrueSteam™ and 6 Motion Direct Drive technology for a really thorough clean. 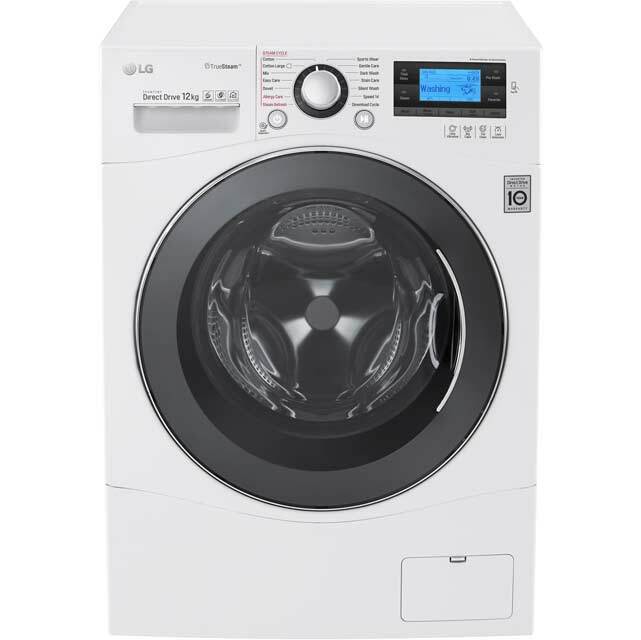 Boasting lots of excellent features, this LG washing machine is a great choice. It has a generous 10kg drum, which makes it ideal for large households. Clever TurboWash™ technology sprays water directly onto clothes instead of soaking them, helping you to save water, time and energy, but still leaving everything spotless. And, once your wash has started, 6 Motion Direct Drive technology uses multiple movements to spin and rotate the drum, reducing wrinkles in your garments while thoroughly cleaning them. This model also has TrueSteam™, which uses powerful steam to remove 99.9% of allergens and soften your clothes – a useful feature if you suffer from hay fever. Futuristic looking washing machine with plenty of features. The delivery man said it looked like something from the starship enterprise. Washes well and has a useful steam refresh function. Would have been good to have a simple wash at 30 degrees with max spin though as we have to manually set that for the majority of washes we do. Great machine, good build quality and packed full of features. Great capacity for larger families. Can’t find anything to complain about yet for this washer. It’s really easy to use, the weigh function which determines the weight of your wash load and how long the wash programme lasts is very clever, reducing the time for smaller loads. There is every setting you would want for most loads, but you can download others if there’s a specific one you need. It’s so quiet you can hardly hear it even when spinning, quieter than any other wash I’ve had. The 1400 spin squeezes most of the water out so drying time is reduced too. I like the fact it has an ‘add item’ feature, I’m always fining that extra item I missed, and the time saver or ‘turbo boost’ function is great if you want to save time and money. An all round great washing machine and I’m very pleased with it. I would definitely recommend it. Definitely recommend this machine. Easy to use and drum size massive improvement for our busy household. Very pleased with LG washing machine. Love the fact you can customise each load, i.e. spin Turbo etc. Quite easy to use even for an aged granny ! !